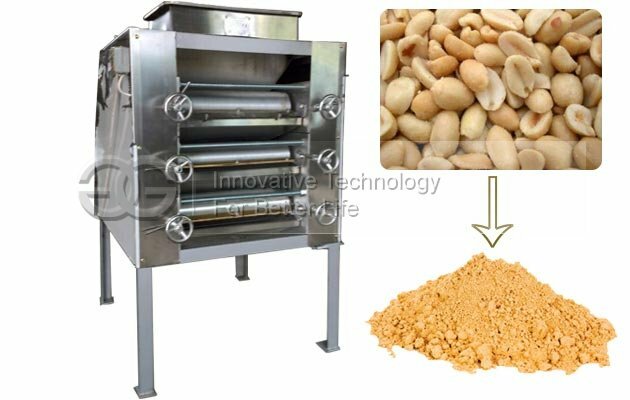 This machine is suitable for crushing oil materials, such as soybean,peanut,almond,etc. 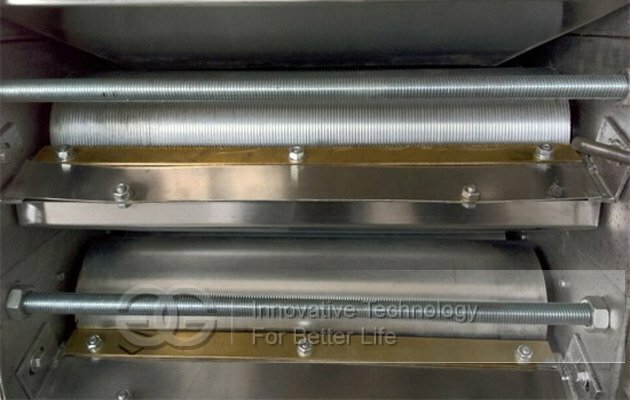 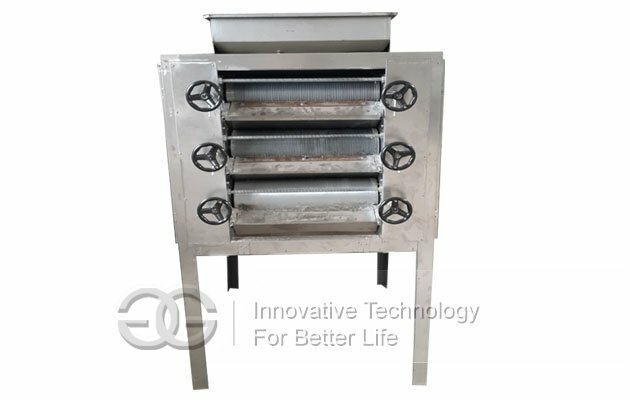 Though multiple squeeze between the passive roller and activity roller to achieve the ideal crushing. 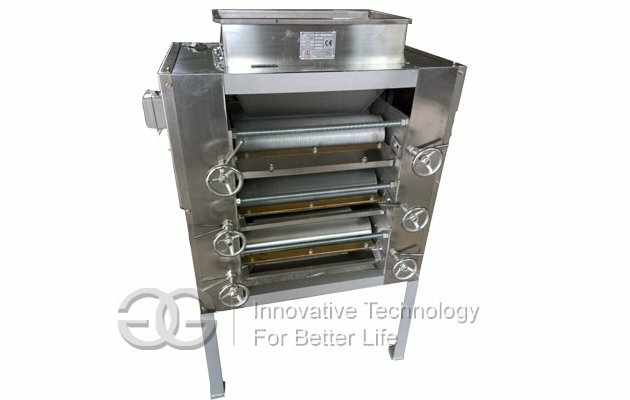 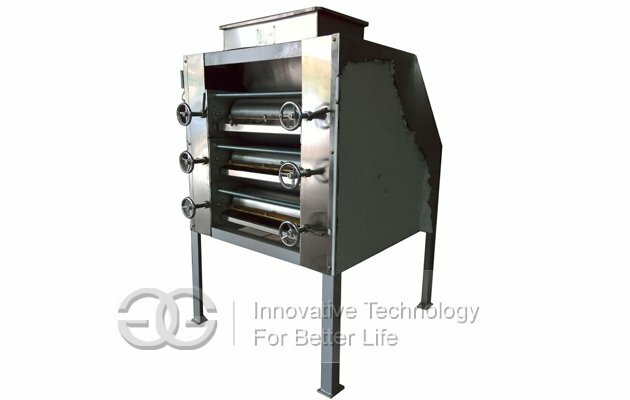 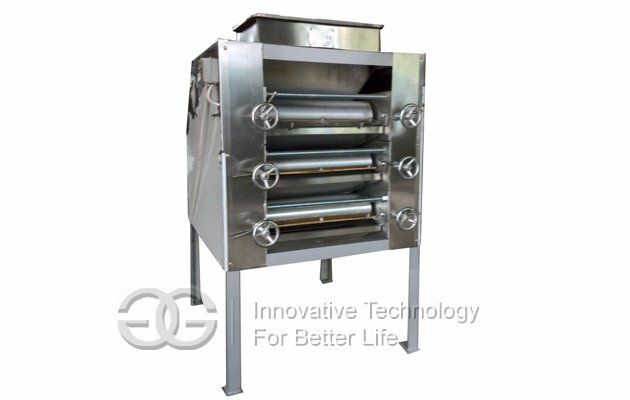 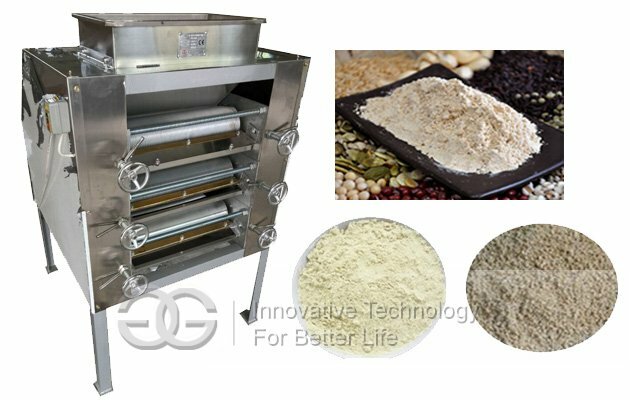 Peanut powder making machine can crush peanut and aesame continuously,large capacity.this machine will never produce oil and the materials absolutely don't glue the machine.Sesame powder is even and fine.You don't have to worry about inventory oxidization due to crushing amount can't keep up with.especially suitable for peanut and sesame's large crushing.this machine has filled a blank of our country's sesame grinding market,to achieve the advanced level at home abroad at present.